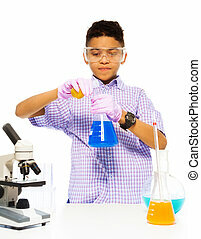 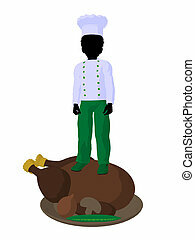 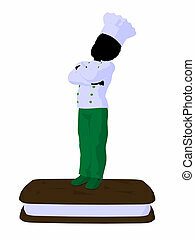 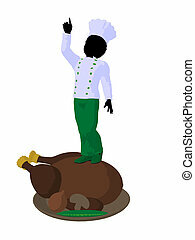 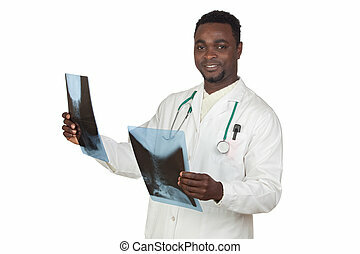 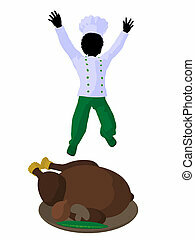 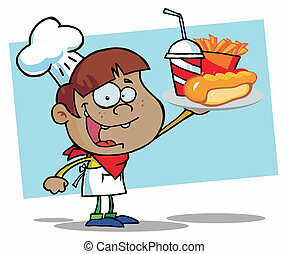 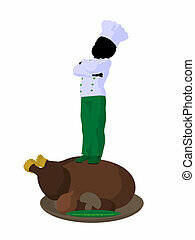 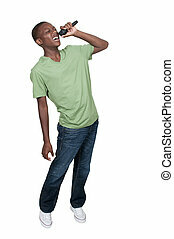 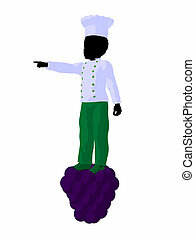 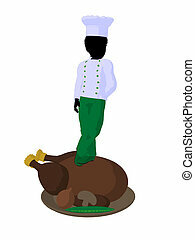 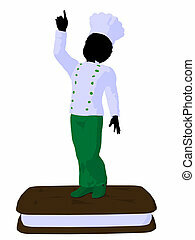 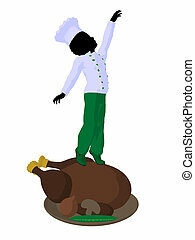 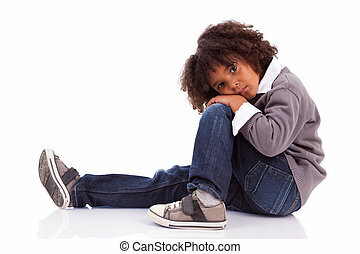 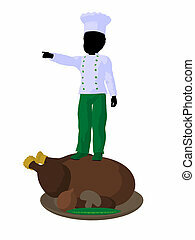 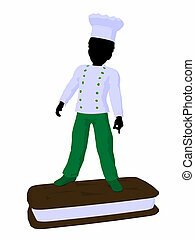 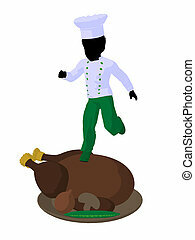 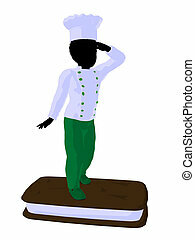 African american boy chef silhouette illustration. 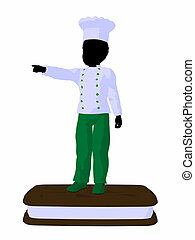 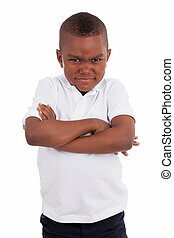 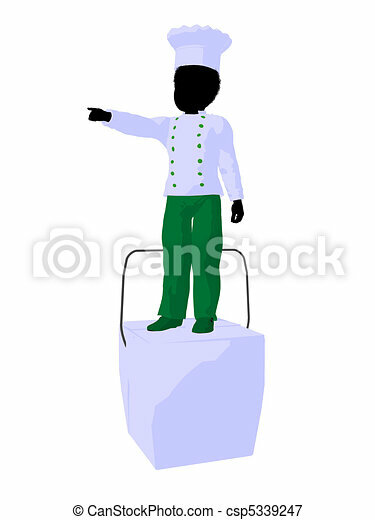 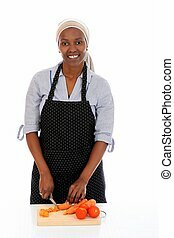 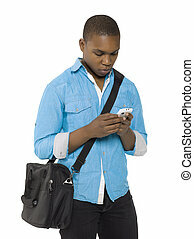 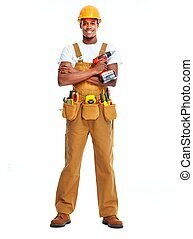 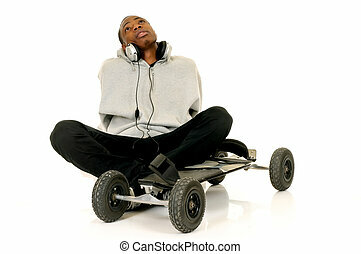 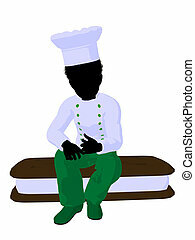 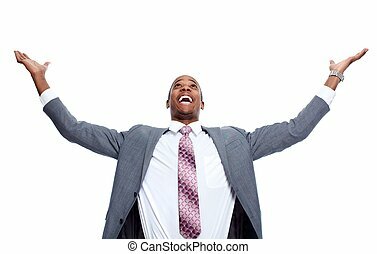 African american boy chef illustration silhouette on a white background. 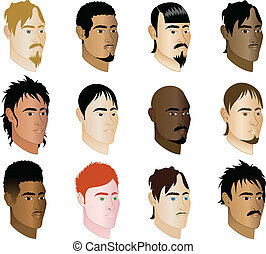 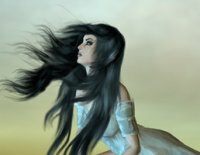 Vector Illustration of 12 different men side profile view.